Submission of recommendations and taking decisions relating to academic and administrative functions of the University are attended to by the Boards of Authority established under the University Act. They are the University Council, the Senate and the Faculty Boards. Council of the University functions as its executive board and administrative board. Ven. Vice Chancellor functions both as a member of the University Council as well as its Chairman. 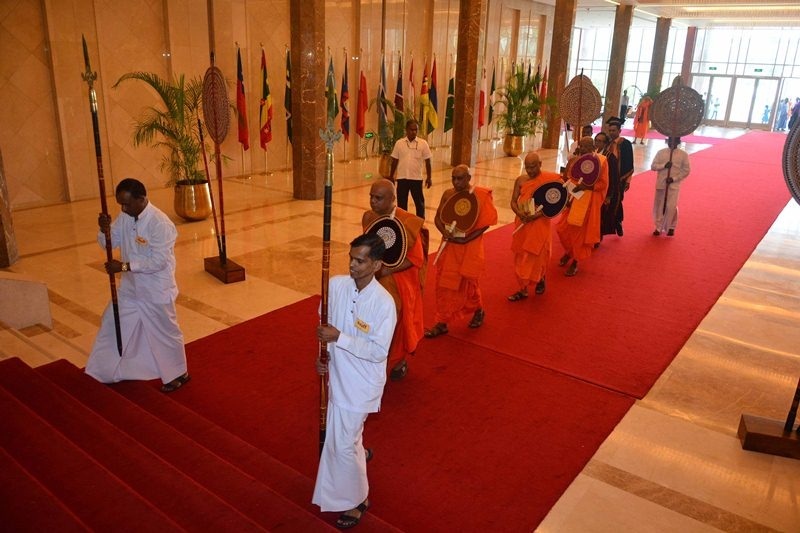 Council of the University consists of all the Deans, representatives of the Senate, Secretaries of the Ministry in charge of the subject of Buddha Sasana and the Ministry of Higher Education, nominees and the members to be appointed by the Minister of Higher Education. The Council of our University consist of 15 members. The majority of them are monks. The Senate is the academic council of the University. Ven. Vice Chancellor functions as a member of the Senate in additions to holding the position of its Chairman. The other members of the Senate are all the Deans, Heads of the Departments, all the Professors, representatives of lecturers attached to various faculties and the Librarian. The Senate of our University consists of 24 members. A Faculty Board is in existence for each faculty chaired by a Dean and it consists of Professors, Assistant Professors, Senior Lecturers, and representatives of the other academic staffs of the faculty, student representatives and external members. The Faculty Board is recognized as the primary authority related to academic affairs of the University, the main function of which is to submit recommendations to the Senate.